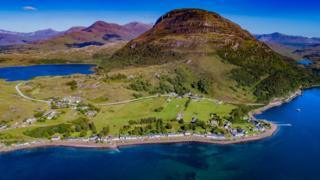 Ben Shieldaig's pinewood can be traced back to the end of the last ice age. Woodland Trust Scotland raised £1.6m to purchase the 534m (1,752ft) hill after it was put up for sale by a private landowner. Ben Shieldaig, near Shieldaig, is one of Scotland's Marilyns, hills with a drop of at least 150m on all sides.